It's no secret that the holiday season presents a minefield of challenges for the health-conscious partygoer. From five-course dinners to sugary cocktails, staying loyal to your health goals toward the end of the year is easier said than done. However, we're of the opinion that the holidays should be celebrated right—dinner and drinks included. 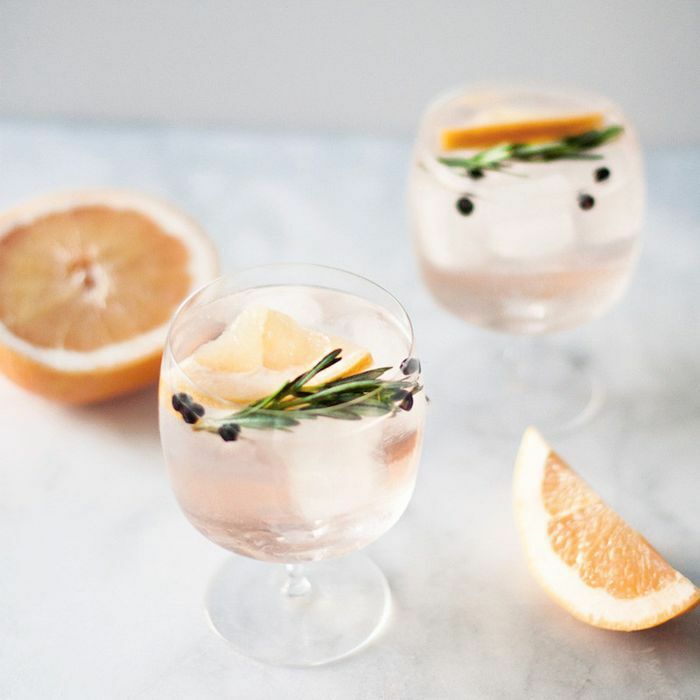 Functional medical nutritionist Brooke Scheller agrees, opting for a light but spirited cocktail to get her through the holiday season without sacrificing her health goals. "Ideally, you would choose some type of clear liquor like vodka or gin (my favorite choice) with club soda and some fresh lemon or lime," she recently told MindBodyGreen. "Be aware of mixed drinks, as they may add simple syrup or other sweeteners that can add up. I also love adding fresh herbs like rosemary, mint, or basil for flavor and anti-inflammatory benefit." For the wine lovers among us, nutrition expert Alicia Armitstead recommends selecting a low-sulfite or no-sulfite added wine. Sulfite is a natural by-product of the fermentation process in both beer and wine, as well as a common additive to prevent oxidizing and spoiling. Unfortunately, sulfites can contribute to liver damage and cause hives, swelling, and gastrointestinal discomfort in a small percentage of the population. Err on the side of caution with this low-sulfite red blend from California. What's your go-to healthy cocktail over the holidays? Share your pick with us below.